A Zambian-born nurse who was due to be deported this week will be allowed to stay in the country. 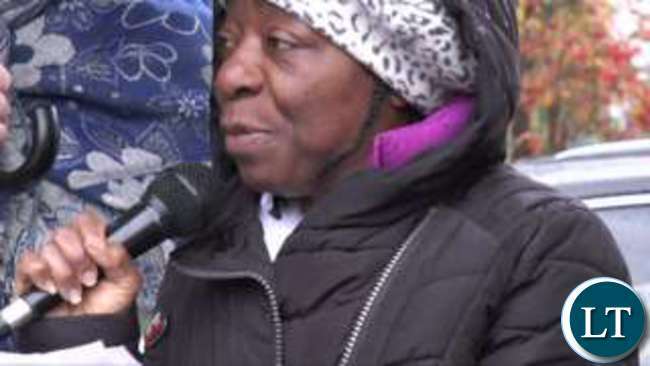 Dianne Ngoza, 47, who has lived in Greater Manchester for 14 years, received support from human rights groups and Manchester MP Lucy Powell. She was due to be flown out of the country on Wednesday but has now been told she can stay while her case is reviewed. Just hours before the flight was set to depart, Ms Powell confirmed the news. Mum-of-one Dianne moved to the UK in 2002 to work as a nurse – one of many overseas medical staff working in the NHS – before volunteering for a number of community organisations and churches. But the 47-year-old was left destitute and had been forced to live in shelters across the region for many years. Ms Powell said: “Dianne was due to be deported this afternoon at 5pm but I have been given confirmation this morning that has been deferred. “She has still been detained and there is a question mark over what is going to happen next. “We were all very anxious she was going to be deported today, so this is a small step in the right direction. “I am hopeful that the minister will look at this case personally and at least give Dianne the option to appeal the decision from the UK. “I will continue to put pressure on the Minister until all avenues have been exhausted. Dianne’s friends and supporters had become increasingly worried about her weight loss and lack of a proper vegan diet in the detention centre in Bedford. A Serco spokesman insisted Dianne had been given appropriate food after her ‘vegan requirements’ were noted on arrival. My name is Dianne Ngoza, I am from Zambia. In 1994 I went to work in South Africa and was granted permanent residence there. In 2002, I was offered a two year work permit to work as a nurse in the UK. After six months, my 11 year old daughter came to join me. In 2004, before my visa expired, I went to Liverpool to renew it. The immigration officer there told me to send my daughter, who was then 13, back to South Africa, and sort out her visa first. We couldn’t afford to do this. When I sought legal help, my lawyer said that he was going to apply for both us to gain leave to remain under section 8 of the human rights act: right to family life. However he incorrectly applied for asylum instead – and this was unsurprisingly rejected. This whole process took four years, during which time I was forbidden from working. I became increasingly dependent on help from the community. My daughter remained with me all this time. In 2008 new lawyers took over my case. Although they told me that they had made the application for my leave to remain, I never received a letter from the Home Office confirming this. Only in 2010 did the Home Office confirm that no application had been made on my behalf. That same year, my child and I were evicted and became homeless. I have been destitute and homeless for the past six years. Over the last three years, I have become involved in a variety of organisations: Women Asylum Seekers Together (WAST), Manchester City Of Sanctuary, United For Change, Migrant Solidarity Group, Revive and, most recently, RAPAR. Through this activity, I have been given the opportunity to help other members who are in the same situation as me. I’ve recently been nominated for a Spirit of Manchester 2016 award. I left Zambia 22 years ago and I don’t have any contact there; in fact, I have no network of social, family or work with anyone back in Africa. My residence permit for South Africa has expired. After such a long time, I don’t consider myself to be Zambian or South African: I consider myself British. I have no work experience in Africa and my qualifications from there are no longer valid. I only speak English and I don’t speak any African dialect. Is Zambia that bad? Why would one allow herself to be subjected to such kind of inhumane treatment when she has a country she calls “home”? Look for all we know this woman could be anything but Zambian! 22 years elo walaba umutundu wobe? Blali Sh!t. Look at her face ichinso ichatikama kwati ni truck? Zambian women are beautiful! That’s why she can’t even speak any zambian language. I know a lot of nurses will doubt this story. Like her I left Zambia 2007 and I have forgotten all Zambian languages. My accent has changed, why are people surprised? If you speak English 24/7 other languages go. My accent and bemba has gone, I love Zambia but i will never live there. Whats the point? Benefits, home care, better schools for my children – and notice people condemning her or who are jealous of me are also in diaspora. The most ridiculous thing I’ve heard today. She doesn’t know any African dialect now after 14 years of living in the UK? She left Africa when she was 33 years old. And there was no Zambian community in the UK that she could speak any Zambian language with? I mean not trying to belittle her plight, and hope things work for her, but that statement alone sounds absurd. It would only be possible if she was taken to the UK as a baby or a child of up to 10 years old. She never speak any Zambian language? Well its a good argument for immigration. – Tonga & Lenje, mixing. – Lozi, terrible. But I miss the most beautiful, Natama. There are no insurmountable obstacles for her not to move to zanmbia. Zambia is former british colony so they speak English there. Thats what Home Office will say. Your mother language remains while your second languages you learnt from school or friends will erude as time goes on.. she got permanent residence in SA howcan this ecpire??? Six years out of employment is too long a time. Go back home to ZED we need your service there. how do u forget your mother tongue? you are just showing inferiority complex come back home. I am sad that, you can not see racism in your experience. home is home mama. look you relatives back home are just laughing at the embarrassment you are trying to cause. just come back we will help you to settle. I left Zambia 30 yrs ago and bemba is still my No 1. language!!! Trust me, it works to say that when you are trying to get immigration status. Obviously she has not forgotten.What is true though is that after leaving and making a life in the U.K. for this long, returning to Zambia under such circumstances will destroy her life. She does not have a life to be destroyed. She is a beggar in the UK, a country that doesn’t even want her. If she returned home (of course as a failure), she would have an opportunity to restart her life. I think she has heard much about zambia,I mean the collapsing of this nation under bad leadership of some pipo,so she prefer to suffer but still in uk than coming to struggle with the broken economy. 14 YEARS YOU FORGET YOU MOTHERS TONGUE THATS BEING STUPID COME BACK AND PATAKE IN OUR DUNUNA REVERSE PROGRAMME ,FUEL K13.70,MEAL MEAL K105,LOADSHEEDING AND NO EMPLOYMEMENT . She can come to Zambia to continue voluntary work. In any case that is where it is needed the most. About the lost language, she can use sign language. There is now even sign language on TV sort no sweat. These are the people Sata was asking to come back home and stop embarrassing us out here. We need a Donald Trump to come and weed the UK of such unproductive waste of space immigrants. Just come home my sister, is that a life ukula lulunta luluntafye? |Too bad for her. Obviously, having stayed that long, it is no wonder she has no known relatives. Or it could just be a gimmick. Either way, I sympathize with her & I know our colleagues are civilized to understand her predicament. Coming to Zambia should be the very last option. She is not a Zambian, but an illegal Zimbabwean masquerading as a Zambian. They are many illegals like her from Zimbabwe. Kasai wambongo,Grz should investigate this woman.These are the people spoiling the name of our good country.Ati Ngoza where have you heard this name in Zambia? This name is very common in likasi Drc. she’s a fool….why is she refusing to come back home..? I really feel sorry for her and the daughter, it’s better she comes back home. Her family and the people of Zambia loves them. There are a lot of us who studied and worked overseas and one thing we are grateful for is that we are back home and surely Diane too, will love it coming home. …one may want to help but not with a story sandwiched with lies….she left Zambia when she was 25 there is no way she would completely fail to communicate in her mother tongue or any one of the local languages…bufi…and there is no way she would fail to locate or recollect her close relatives back home in Zed…. …as the saying goes…be mindful of the people on your way up…you may need them on your way down…she could have insulted the crocodile and the hippos after crossing the river….she is wondering how she will cross back…. If she is really Zambian, she should be using help from the Embassy rather social media. Zambia’s reputation has been pulled into the drain by characters like this one and a certain Musonda here in RSA who is impersonating that he is working for ABSA Bank and that customers should deposit certain amount of money into his account so that it covers bank charges that would accumulate when he transfers the lottery gains that the customers had won. The Angolan consulate become a near victim on this scam. Thanks to an early alert from Standard Bank. This seed. !!! Terrible one. Ngoza is a Nigerian name. No wonder she can’t speak a Zambian language. Failed Zambian govt systems allows foreigners to get Zambian passports, that’s why UK introduced visas for Zambian passport holders. Also after FTJ collapsed the economy, many Zambians, including defunct Zambia Airways employees abused the no-visa requirement & chose to illegally overstay in UK. Congolese, Burundians & Rwandans come to Zambia, stay for 2 years, learn to speak English & get Zambian Passports. Then they jump onto a bus to RSA. Once they enter RSA, they seek asylum & throw away the Zambian Passport in a rubbish-bin or sell it to Nigerians. That’s how come RSA gives Zambians 1 month stay if r lucky. If u come by bus u r given 1 or 2 weeks stay. Our failed leadership makes other failed states benefit from our kind-heartedness whilst we suffer. N/W Rhodesia needs to break away & start a new chapter from the N/E Rhodesian who have invaded our once great nation & allow their Congolese & Malawian brothers to abuse our kindness. CHOPET!!! Who can even buy her story,imagine someone leaving the country at the age of 25 when she was already matured and today she’s claiming to have forgotten her mothers tongue. what a dull boasting na njala old lady.she came from drc on the grounds of night business.I can’t believe someone can live abroad freely forgetting the family behind not even ka nkalata [email protected] may be right she might have insulted hippos and crocs the time she was crossing the river. I wish her the best in her fight to remain in the UK which she is rightly entitled to considering her stay there & active appeals on record. As much as I would like to sympathize with this lady and many others like her who think that life starts and ends beyond the borders of your native homeland, her Ngoza name betrays her and her claim of having left Zambia from no traceable or extinct relatives is another reason for my wonderment if really she uses her brain to speak and act or she uses dununa reverse mental idiocy. Why change from Ngosa to Ngoza. Iwe Proud Zambian, ulelemba bwino ichibemba. Pitulukamo mufyo ulembele ufichite FIX. It is a pity that this lady , if ever she is a Zambian to forget her mother tongue, I for one will never turn away from my heritage I still remember the village I lived in 50years ago . 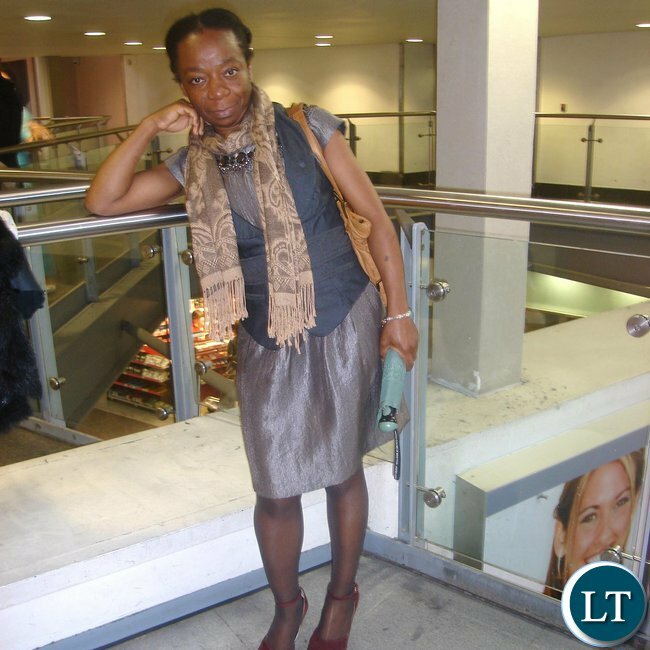 If you despise what is yours you will never respect what you borrow, in some cases such people like Ngoza may not even be a Zambian, may be she may be among those who come to pass through Zambia to gain entry in the UK. I for one visit Zambia regularly to see how my country is developing , never forget my Zambia in the sun ,we are out here for a season after we are done will come back home . No sense mama,you can’t forget your home language. Stay there, don’t go back to Zambia.Am a Malawian leaving here in south Africa, but i will never forget tumbuka or nyanja.Sorry Mama. We live in the USA legally,but will always be Zambian. We respected all laws including immigration laws. This woman might not be Zambian and she wants to live off freebies in the UK. I am sick and tired of all these crooks using Zambia to their benefits, while good people of Zambia gets a bad name. Send her home to her village if she from Zambia. Comment:she has every right to stay anywhere in the world as long as she feels comfortable. some of you should visit better countries amd maybe, just maybr, you’ll understand her. Why go back to Zambia under PF government? I dont even envy coming back. Some of you are talking like that because you don’t have the opportunity to live aboard. Given the opportunity you will rush to grab it! Iwe naiwe, we live abroad but hiding from immigration, the first thing you do when you go to one’s country is settle all your immigration issues. I am sure you did that there in Canada unless you are one of those Zambian’s seeking asylum as if there has ever been war in Zambia. A lot of Africans do want to do the right thing when it comes to immigration and end up like this lady. I feel pit for her situation, but she should not be acting like Zambia is hell. What the hell. I love Zambia as most of the people here and for someone to say she does not consider herself to be Zambia and can’t speak any Zambian language is plain *****ic in my books. Home is always home. The Zambian Embassy should clarify this story because all hard working Zambians in UK have been embarrassed by the claims of this woman. She is not even a nurse because she does appear on the NMC register. Where did she do her training in Zambia? Any classmates, please come forward and expose this woman. Come back home sweetie. We have enough good men who can care for you here. Yo Lusaka Times, whats up with moderating my comments? I speak the truth yo, let the people read. very sad but does it mean she even remember the father to her daughter. surely there must be even at least one contact back home. Shes Tonga what do you expect ? Ni Ngosa uyu. When in South Africa she wanted to suit local dialect hence changing to Ngoza. Magande lived in America for many years but never forgot his Tonga. Infact, he speeks tongalised english. Therefore that woman is not from Zambia. I strongly doubt her allegations. Personally I do not need any passport to leave My Zambia, over my dead body, there is no sweet place like Zambia. Something odd with this story. If you google her name, and go to ‘The Telegraph . co . uk’ it says “…she was born in the DEMOCRATIC REPUBLIC OF THE CONGO. She fled for political reasons, and many of her family members who stayed have been killed…” So which is which? In case you read this go to the Zambian High Commission (get in touch with them), you should be helped. Let them open an account for you and your daughter, so that we can assist when we can, while you find your feet. Fellow bloggers, you find Ngosa in Bemba. In Bisa, and I suppose Lala, it is Ngoza. Sad story and she ended up becoming vegetarian. Ukulaba no tumichopo, my sister!